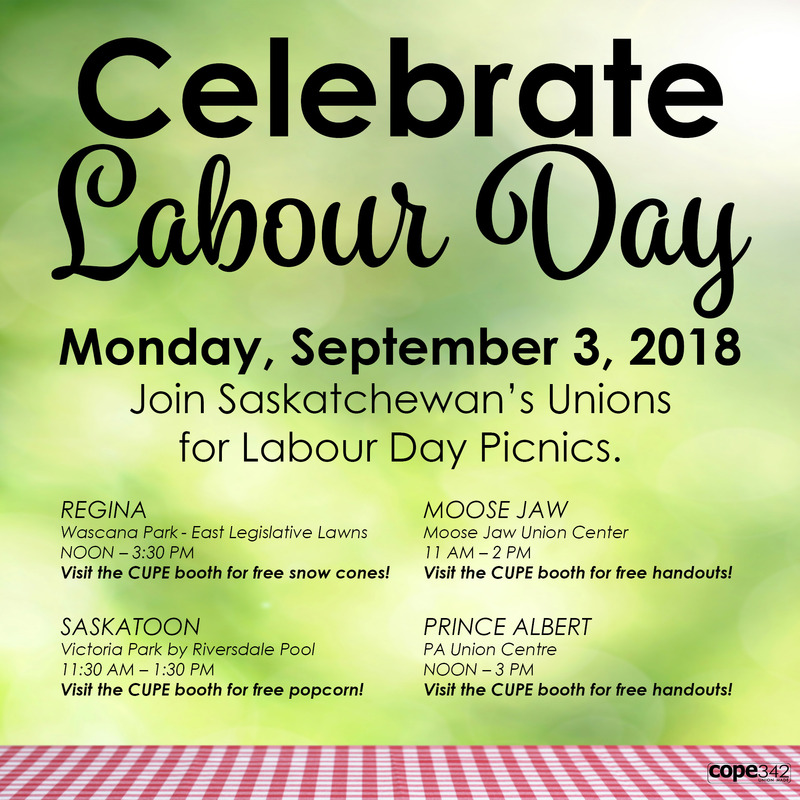 Labour Day is more than just a holiday – it is a day we take a moment to celebrate the many accomplishments of Canada’s labour movement and what workers have achieved by joining together in unions. Together, workers through their unions and collective bargaining have fought for many workplace rights, standards and benefits we take for granted today. 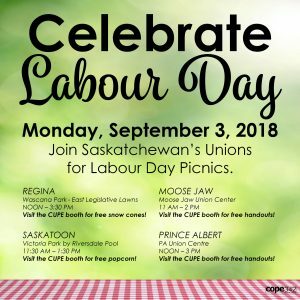 Celebrate Labour Day on September 3, 2018, with free picnics hosted by Saskatchewan’s unions. The origins of Labour Day in Canada go back to 1872 when the printer’s union, the Toronto Typographical Union, took a brave stand for a shorter work week and went on strike. George Brown, a politician and owner of the Toronto Globe – now the Globe and Mail, had some of his striking employees (members of the strike committee) charged under laws criminalizing union activity. Canada’s first Prime Minister, Sir John A. Macdonald, promised in response to repeal the anti-union laws and passed the Trade Union Act months later legally recognizing unions. Demonstrations continued in support of the workers including on September 3rd of that year, and these demonstrations in support of the newspaper printer workers carried over into an annual celebration of workers’ rights in Canada. In 1894 under growing pressure, the federal government passed a law officially recognizing Labour Day as a national holiday. Labour Day was only the second official holiday observed in a calendar year when declared a holiday, representing its significance.